Wabara the next on Caldwell’s latest wish list? Wigan Athletic currently stand in 5th place in League 1, just 5 points behind second placed Gillingham. They are desperately seeking an automatic promotion place. On November 9th we posted “Caldwell’s Christmas Shopping List”. At that time Latics were coincidentally 5th in the League 1 table, 5 points behind the Gills in second place. We advocated the need for another central striker (Alex Revell was brought in soon after), a right back, a central defender and an influential central midfield player. Since then short-term loanees Francisco Junior, Donald Love and Sean Murray have left the club, with Yanic Wildschut being signed on a permanent contract. Revell was recalled early by Cardiff City from his loan spell. Moreover Richard O’Donnell has joined Bristol City on loan. Since November 9th Latics have a record of W5 D3 L2. Statistics supplied by www.statto.com show them lying 8th in the form table for games played between then and now. Wigan’s average of 1.8 points per game over the period has helped then maintain their position in 5th place, but the teams that were above them in November remain above them now. Both Burton Albion and Walsall have had managerial changes since then. Since Nigel Clough took over from Jimmy Floyd Hasselbaink at Burton on December 4th he has had a record of W4 D1 L0. Sean O’Driscoll succeeded Dean Smith at Walsall on December 18th, his record so far being W3 D1 L1. Latics clearly cannot rely on the teams above them defaulting over the remainder of the season. History tells us that teams who have gained automatic promotion from League 1 have amassed a minimum of 90 points. To achieve that minimum target Latics would need 45 points from their remaining 20 games, an average of 2.25 points per match. The January window is crucial to Wigan’s quest for automatic promotion. Caldwell’s squad is strong, but somehow the team rarely fires on all cylinders. The chemistry just does not seem quite right. The question is whether Caldwell can bring in the types of players who can provide an appropriate balance. A right back/right wing back is surely high on Caldwell’s wish list. Donervon Daniels can excel when attacking, but can be suspect when up against a speedy wide player. Daniels is basically a central defender who has been helping the team by playing out of position. Rumours are that Latics are about to sign right back Reece Wabara whose short term contract at Barnsley has come to an end. Wabara is a 24 year old ex-Manchester City youth player. He made 43 appearances for Doncaster Rovers last season before joining Barnsley for whom he appeared 19 times. According to press reports it appears that Aberdeen are interested in taking Don Cowie on loan for the remainder of the season. With the departures of Junior and Murray and a possible exit from Cowie, Caldwell will be keen to bolster his central midfield. For some time now Latics have looked short of a midfield enforcer who can close down opponents when the going gets tough. Sam Morsy of Chesterfield is certainly that, being known for his toughness in the tackle. Signed by Paul Cook from Port Vale in summer 2013, the 24 year old captain has made 97 appearances for the Spireites. His contract expires at the end of the season, suggesting that a relatively small transfer fee could secure his services. Latics have also been linked with Oldham Athletic captain Liam Kelly. A 25 year old Scottish international, who started his career at Kilmarnock, Kelly is a holding midfielder that Oldham fans don’t want to lose. With the departure of Junior, Latics look short of variety in midfield. Although dogged by injury during his stay at Wigan, Junior could offer alternatives when coming off the bench. Michael Jacobs is the main creative force for Latics, but there is a need for another player of his type. So many teams will “park the bus” when they come to the DW Stadium and someone is needed who can help unlock visiting defences. Grant Holt is now back at Wigan after his loan spell at Wolves, but it seems most likely that he will loaned out to another club. Should that happen Caldwell will surely seek another centre forward. The latest name to be mentioned is Lukas Jutkiewicz who has played for 9 clubs even though he is only 26 years old. Jutkiewicz is a big target man, but his career strike record is not particularly impressive and he has not scored for his current club, Burnley, in 30 appearances. Leon Barnett’s contract is up at the end of the season and he might well be looking for a move in January. Previous rumours linked him to Preston North End. Should Barnett leave then Caldwell will seek to bolster the centre of defence with a new signing. Given the long ball approach that can prevail in League 1 he might well look for a tall player who is strong in the air. Good passing of the ball is not Barnett’s strength and it is an attribute that Caldwell will look at from any incoming player. Latics have already announced the signings of 19 year old Torquay goalkeeper Dan Lavercombe and the 22 year old Macclesfield midfielder Danny Whitehead. Both players will continue playing for their former clubs for the remainder of the season. They are clearly players for the future. However, Caldwell’s main priority is to recruit new players for the 20 games that remain this season. How many will be able to recruit will largely depend on the departures of players on Championship-level salaries whose contracts expire in summer. Given the difficulties he has faced with the right back position Caldwell will be keen to bring in a new player as soon as possible. 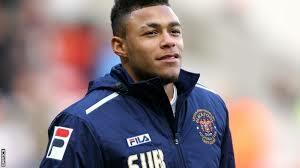 Reece Wabara might well be a Latics player within the next couple of days. We do need another central midfielder and another centre-half if Barnett goes. A defensive midfielder to cover for Perkins is necessary, but we also don’t have another box-to-box midfielder like Power. Now that Wabara is confirmed that is a good player we have to play on the right. Plus there’s Arnie Baxendale in the youth team who has been impressive by all account. I’d like to see more Academy players make the step up now as I think the likes of Flores and Chow will be more ready to take to first-team football now. Gary has said that the Academy is a big part of the club, so we should really try and integrate these boys in to the team. Flores in particular looks a classy player. Fair comment, Roshan. There are rumours that Chow will go out on loan soon, which would help his development. Maybe Flores too? The young player who impresses me most is Louis Robles – let’s see how he does on his loan at Macclesfield.